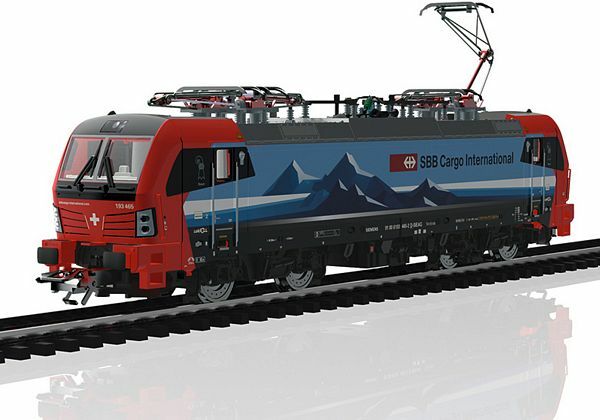 Prototype: Class 193 Vectron electric locomotive, leased to SBB Cargo International. Multiple system locomotive with 4 pantographs. Road number 193 465-2. The locomotive looks as it did in 2018. Model: This electric locomotive is constructed of metal. It has a digital decoder and extensive sound functions. It also has a special motor, centrally mounted. 4 axles powered by means of cardan shafts. Traction tires. Triple headlights and dual red marker lights change over with the direction of travel, will work in conventional operation, and can be controlled digitally. The headlights at Locomotive End 2 and 1 can be turned off separately in digital operation. When the headlights at both ends are turned off, then the "Double 'A' Light" function is on at both ends. Warm white and red LEDs are used for the lighting. There are 4 mechanically working pantographs (no power pickup from catenary). Length over the buffers 21.8 cm / 8-9/16". Digital decoder and a variety of sound and light functions included. Digital full sound model with an excellent price-benefit relationship. 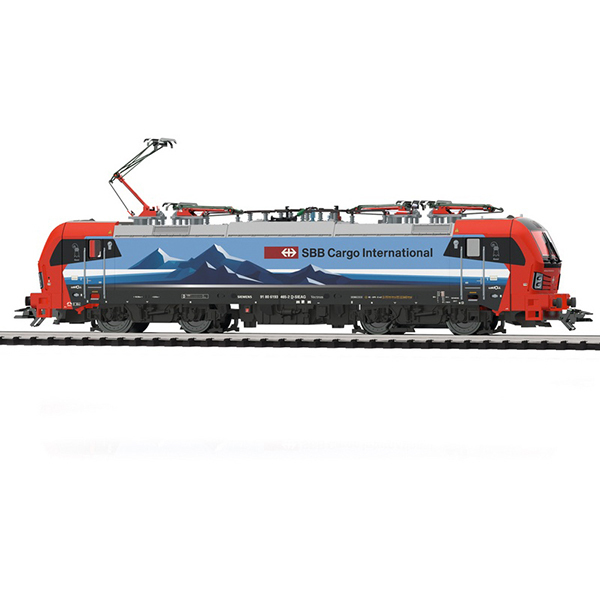 This model can be found in an AC version in the Märklin H0 assortment under item number 36195.